The Tudor architectural style is the final development of Medieval architecture in England during the Tudor period (1485-1603). Combine different buildings to create street corners or blocks. 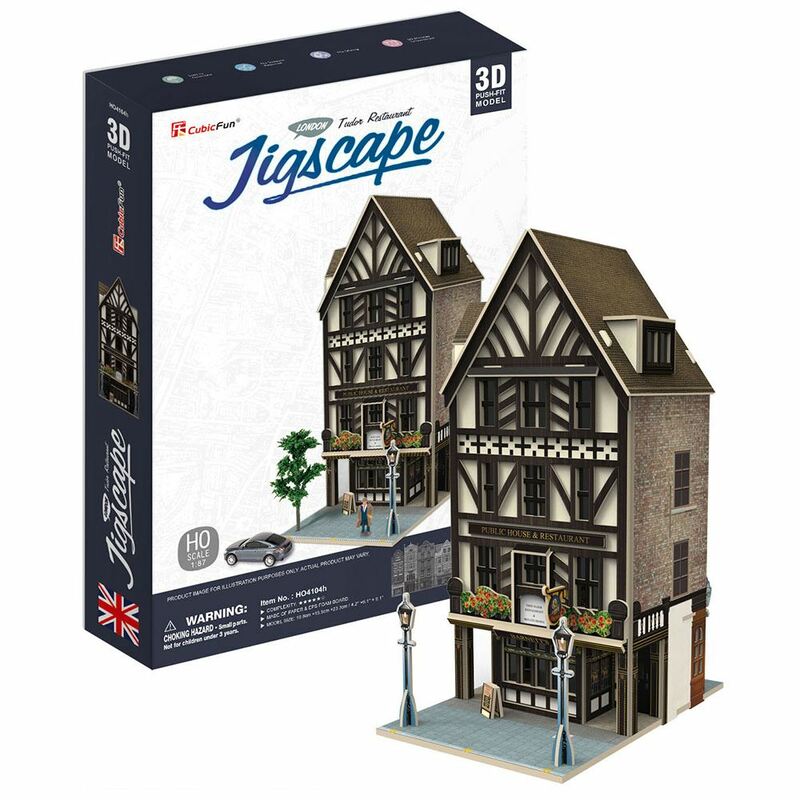 Collect all the puzzles to create your own original streetscapes. This 3D Puzzle is made of paper and expandable polystyrene foam board, it is easy to assemble without the use of any other tools or glue. No of Pieces: 44 Model Size: 10.8cm x 15.5cm x 23.3cm. Age: 8+ years.